DNA of northern white rhino — of which only two remain — mixed with that of close subspecies in a bid towards growing population using surrogates. Researchers have created hybrid rhino embryos as part of a 'Hail-Mary' attempt to rescue the northern white rhinoceros from all but certain extinction. 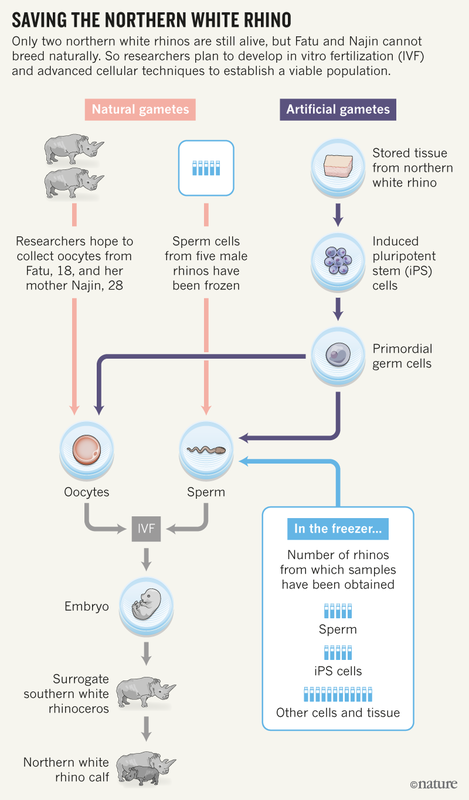 The embryos — which have now been frozen — contain DNA from northern white rhinos (Ceratotherium simum cottoni) and a close relative subspecies and could be implanted into surrogates to yield animals that are a mix of both. The work is reported in a Nature Communications paper published on 4 July1. The research “is an impressive step forward for the whole field”﻿, says stem-cell biologist Jeanne Loring, at the Scripps Research Institute in La Jolla, California. 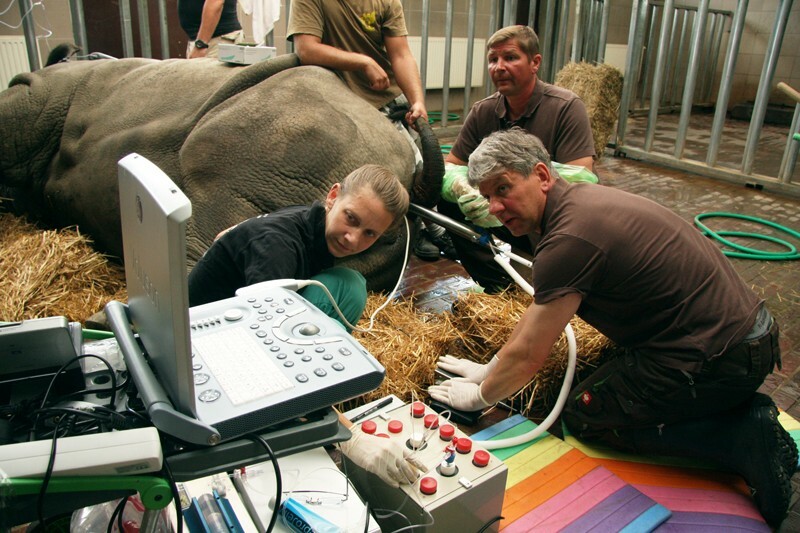 Her team hopes to use stem-cell technology to repopulate the rhinos. A victim to﻿ poaching, the northern white rhino population is now down to only two females, making it the planet’s most endangered mammal. Earlier this year, Sudan, the last male of the subspecies, died of age-related disease (although his sperm has been preserved). His daughter Najin and her daughter, Fatu, live in Ol Pejeta Conservancy in Kenya. Najin has leg injuries that prevent her from becoming pregnant, and Fatu has fertility problems that prevent embryos from implanting into the womb. 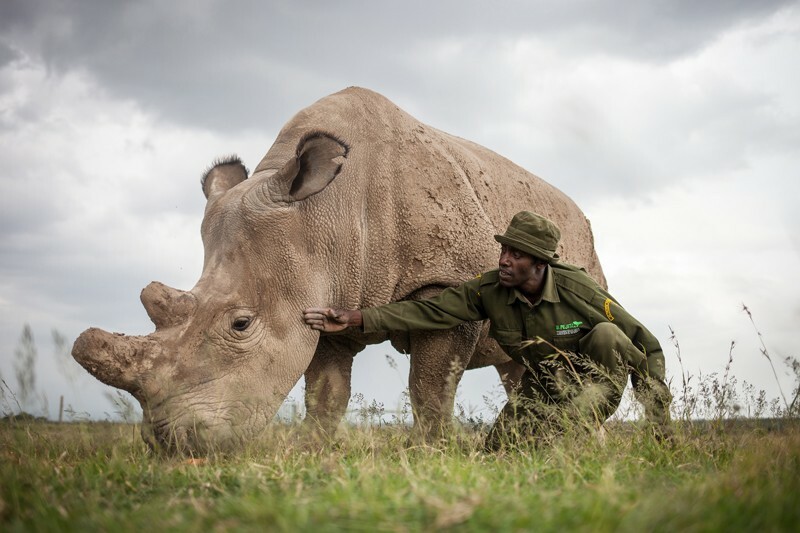 Extinction of the northern white rhino would seem﻿ inevitable. However, a team led by Cesare Galli, a veterinarian and embryologist at Avantea, a biotechnology laboratory in Cremona, Italy, may have given the animal a second chance. Galli and his colleagues have developed a technique to extract eggs from female rhinos and fertilize them to generate viable embryos potentially capable of becoming animals. Rather than test the procedure — which involves a risky anaesthetic — on Najin and Fatu, the researchers collected eggs from 12 southern white rhinos (Ceratotherium simum simum), a closely related subspecies whose numbers stand at around 20,000 across southern Africa. The hybrid embryos were created with eggs collected from southern white rhinos and northern white rhino sperm.Credit: T. B. Hildebrandt et al./Nat. Commun. Of 13 eggs injected with sperm from a now-deceased northern white rhino, four developed into blastocysts, or early embryos. These ‘hybrid’ blastocysts, which contain genes from both subspecies, can be frozen and later implantated into a surrogate to produce hybrid offspring. These hybrids could ensure that some of the northern white rhino DNA would be preserved. The researchers injected 17 other eggs with sperm from a southern white rhino, to produce three ‘pure’ southern white rhino blastocysts. To test the health of the blastocysts, the team generated stem-cell lines from two of the pure embryos. These showed all the signs of healthy embryonic stem cells, suggesting that the embryos from which they were generated would be viable once implanted. The next step will be to harvest eggs from Najin and Fatu, fertilize them with northern white rhino sperm and implant the resulting embryos in a southern white surrogate — with an ultimate goal of having the first northern white rhino born within three years. However, the offspring of this effort would lack the genetic diversity to sustain a healthy wild population of northern white rhinos, says Galli. A better, but more challenging, avenue is to use frozen tissue from a wider pool of northern white rhinos to generate stem cells that have the capacity to develop into eggs and sperm (see 'Saving the Northern White Rhino'). In 2011, Loring and her colleagues produced such cells, called induced pluripotent stem (iPS) cells, from Fatu’s skin2. Since then, Loring and her team have created 4 more iPS cell lines from northern white rhino tissue stored at San Diego Zoo Institute for Conservation Research in California. “It would be fantastic to see the northern white rhino back in its natural habitat,” says Stuart Pimm, a conservation biologist at Duke University in Durham, North Carolina. However, he is concerned that the underlying cause of the rhinos’ near-extinction has not been dealt with. Hildebrandt, T. B. et al. Nature Comm. 9, 2589 (2018). Friedrich Ben-Nun, I. et al. Nature Methods 8, 829–831 (2011). Tunstall, T. et al. Genome Res. 28, 780–788 (2018).